Getting festive in your eyecare practice is a fun way to interact with your patients on holidays, and with Halloween just around the corner we wanted to share a few ideas for celebrating with your patients in the office. 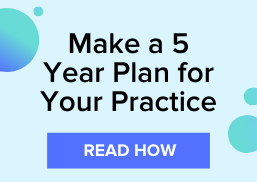 Before you know it the holidays sneak up on you, but with a little planning you can get your practice geared up for a fun day (or week) for both your staff and your patients. Here are a few quick and easy ideas to help you get in the spirit. Decorating the office can be an affordable and fun way to get in the spirit leading up to Halloween. Search decorating ideas on Pinterest and spend a couple of hours decorating the office. You chould choose to decorate as a team, or surprise your staff by decorating over the weekend so when they all come in on Monday the office is spooky. A couple of fun decorating ideas could be to create eye charts with Halloween words and phrases spelled out on them, covering your frame boards with spiderwebs, or hanging orange and purple string lights around the office. Passing out treats on Halloween is almost a no-brainer. Having a variety of treats to choose from for the kiddos and adults alike will give everyone a chance to leave your office with a treat they'll enjoy. 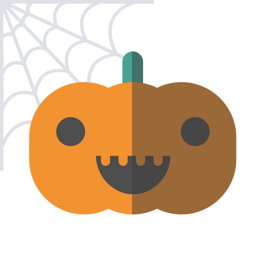 For you and your team, you could encourage everyone to bring in a spooky baked treat of their own to share in the breakroom. Another thoughtful idea that is a little more out-of-the-box is to pick up a variety of tiny jack-be-little pumpkins. I'm talking little, 25 cent pumpkins that you can hand out to patients as they leave. This is a unique gesture that could make you stand out from the crowd. They are small enough that you shouldn't have a problem storing a good amount of them behind your front desk. How have you celebrated Halloween in your practice? We'd love to hear about it in the comments! For more fun practice ideas, subscribe to the VisionWeb Blog.